Mother & Kids Matching TShirt Sale!! Normally $45, Now Only $40 !! Eames Plywood Chair 1946 TShirt for Women! Made in USA; 100% Designed & Hand Printed by The Medium Control; Fits Small; Minimal Shrinkage; We always print on the highest quality American Apparel Shirts; These are Tri-Blend tshirts. Tri-Blend tshirts contain: 50% Polyester / 25% Cotton / 25% Rayon. 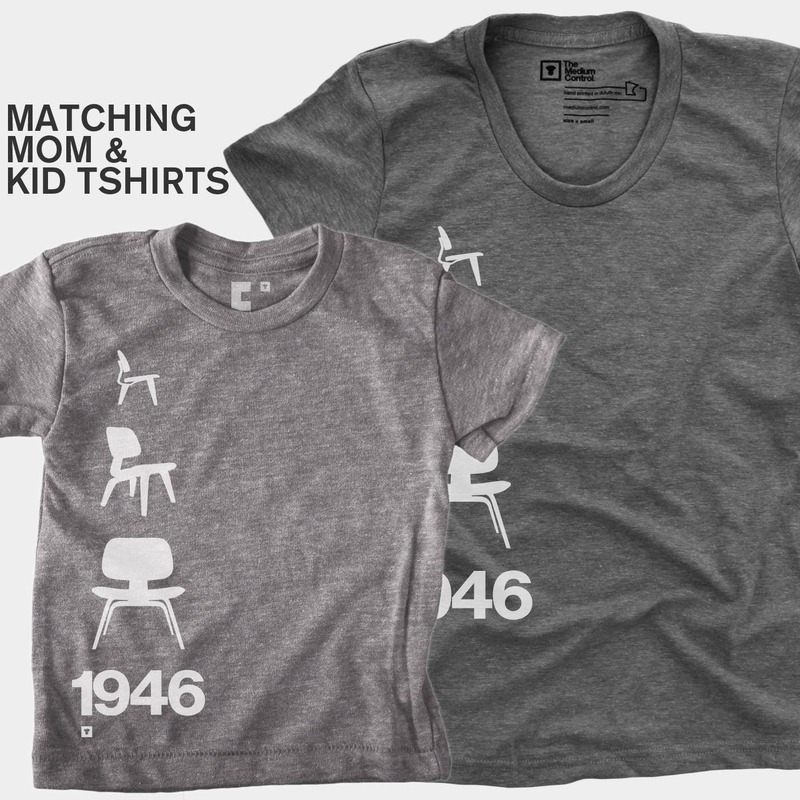 Eames Plywood Chair 1946 Kid's T-Shirt! Made in USA; 100% Designed & Hand Printed by The Medium Control; We always print on the highest quality American Apparel Shirts; Heather Grey is a Tri-Blend T-shirt. Tri-Blend t-shirts contain: 50% Polyester / 25% Cotton / 25% Rayon. A super-soft and comfortable tshirt. These kids shirts tend to fit small, so most people order at least one size larger than normal. Please scroll thru the pictures to the last image to view both size charts.